Congress President Rahul Gandhi attacked the prime minister over his "silence" on the multi-crore PNB bank fraud, asking where the "country's watchman" was when jeweller Nirav Modi fled the country like liquor baron Vijay Mallya. 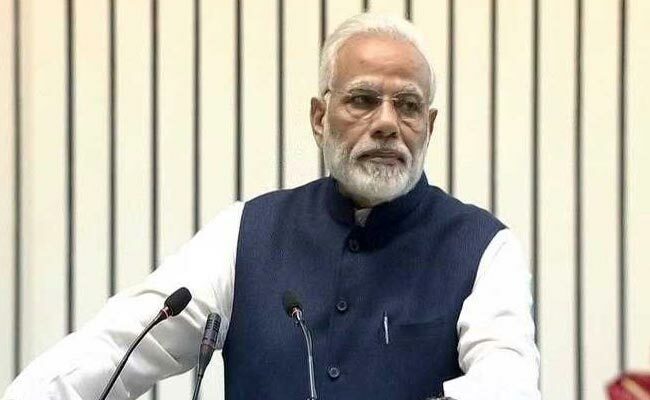 New Delhi: The Congress on Monday sharpened its attack on Prime Minister Narendra Modi, dubbing him "Maun Modi" (silent Modi) for his "continued silence" on issues critical to the country, and alleged that raids by agencies in the bank scam are a mere "eyewash" to befool the public. Mr Gandhi took the swipe at the prime minister for his refrain during poll rallies that he would act as a watchman for the country, and cited his "na khaoonga, na khaane doonga" (will neither do nor allow anyone to do corruption) statement. The Congress chief said the entire country was keen to know the "secret behind his silence" and alleged that it screams out loudly where his loyalties were. "First Lalit (Modi) and then (Vijay) Mallya, now Nirav (Modi) also fled the country. Where is the country's watchman who claimed 'na khaoonga, na khaane doonga' (Will neither do nor allow anyone to do corruption)? "The public is longing to know the reason of 'saheb's' silence. His silence screams out loud who is he loyal to?" he asked in a tweet in Hindi. The Congress on its official website also dubbed PM Modi as "Maun Modi". While in opposition, BJP often attacked former prime minister Manmohan Singh as 'Maun'mohan Singh for his silence on various scams during the UPA government. Congress spokesperson Manish Tewari said government should tell who facilitated the escape of accused designer jeweller Nirav Modi and his partner Mehul Choksi, despite a court order declaring Choksi as an "absconder" and a proclaimed offender. He said "fresh revelations" have come in the matter and the court of chief judicial magistrate had on August 4, 2017 declared Mehul Choksi, the managing director of Gitanjali Jewellery, and Vipul Chaitalia, the company's authorised signatory, as proclaimed offender and "absconding". "How was this man allowed to leave the country? The question arises that how can a person who is a declared proclaimed offender and absconder by a court of law be allowed to leave the country and we would like to ask the NDA-BJP government. "We would like to ask the prime minister of India and the finance minister of India that who facilitated the exit of this man from the country despite the order of a competent court which brings us to certain other questions that we would like to ask," he told reporters. The Congress asked on Twitter, "Is it too much to expect Maun Modi, who had promised to be the chowkidar of the nation, to speak one word on this systematic loot of the banking system?" In an article headlined "Maun Modi: The Art of Silence", the Congress said the age-old proverb "silence is golden" has caught the fancy of the "verbose" Prime Minister, while the nation ponders over the reasons behind his reticence. "What could explain this? When the country's biggest banking scam hit the airwaves, Narendra Modi was found passing on unsolicited tips to students on how to cope with exam stress, inaugurating the swanky new headquarters of BJP, and holding forth on Artificial Intelligence. "It looks like the Chowkidar of the nation's wealth has abdicated all responsibility, moral and otherwise," it said. Mr Tewari said Prime Minister Narendra Modi "speaks on everything, referring himself as 'Chowkidar' (watchman) of the country and its 'Pradhan Sevak' (servant). "But we would like him to answer some questions on issues that are critical and the country is demanding answers," the Congress leader said. Mr Tewari demanded that the government issue a white paper on the health of the banking sector and a complete list of all NPAs of banks be published on their website to enable people who have invested money in these banks to know their fiscal health. On the country-wide raids launched by various agencies in the bank scam case, he asked, "Who are they attempting to fool? This is an activity merely for the sake of activity for creating a smoke-screen for trying to give an illusion of action when the horses have already bolted." "This activity is merely an eye-wash. It is for the benefit of cameras," he alleged. Mr Tewari demanded answers from the prime minister on Amit Shah's son's company, the Rafale price at which the aircraft were purchased, the purchase of stake by ONGC in Gujarat Petroleum Corporation and on the issue of death of Justice Loya. The Congress said "whenever the PM speaks, it is either to dish out more rhetoric, or to badmouth the Congress party, or to point towards the past and claim victimhood". The opposition party also took out a video of PM Modi sleeping while scamsters like Mallya and Nirav Modi fled. "Have you heard of this amazing scheme by the Modi Govt to create more billionaires? "PM Modi has mastered the art of remaining silent while scam after scam hits the nation. He possibly believes that his silence will help distract the nation,"the party said.